Could these be the words of George Washington, the man who loved his fine imported Madeira; the man who, according to a close friend in 1785, became “quite merry” after drinking champagne at a dinner party – and who owned one of the ` distillery in America? These seeming contradictions to Washington’s character only reveal that he was a man marked by moderation and self-control. He also recognized that drinking alcoholic beverages was a part of the culture and time in which he lived. As commander in chief during the American Revolution, Washington acknowledged that there should always be “a sufficient quantity of spirits with the army, to furnish moderate supplies to the troops.” But, he was swift to upbraid drunkenness within the ranks. Ever the enterprising businessman, Washington opened an expansive whiskey distillery in 1797 at the urging of his Scottish farm manager James Anderson. It became one of Mount Vernon’s most profitable ventures. The General also had a strong sense of moral duty - and heart. After rebuking his carpenter Thomas Green for his constant state of inebriation, Washington couldn’t bring himself to fire him, thus rendering Green’s wife Sarah and their children homeless. After all, Sarah’s father had served with Washington during the French and Indian War. When Green abandoned them, Washington personally oversaw Sarah’s relocation to nearby Alexandria, furnished her with the means to become a shopkeeper and laundress, and faithfully provided for her, leaving her an annuity of £100 in his will. Washington indeed made merry with beloved friends over a glass of bubbly - and profited from a thriving business that produced fine spirits. He also adamantly decried the abuse of alcohol, having seen its ill effects firsthand. 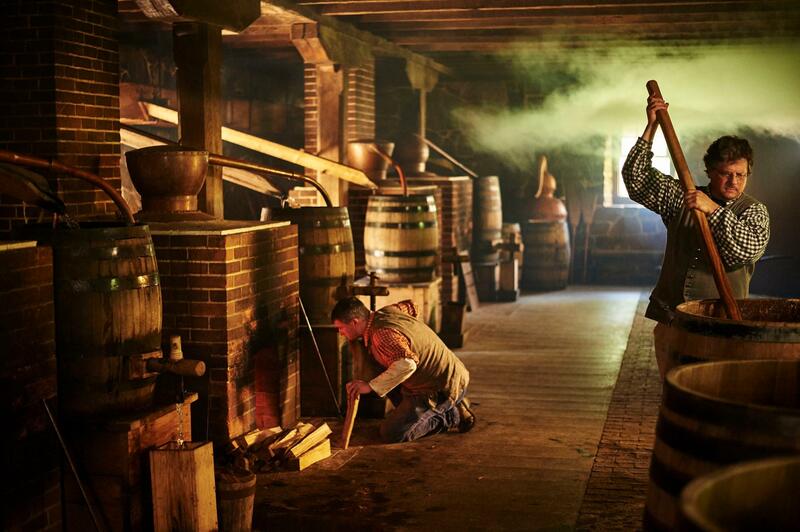 Learn more about George Washington's distillery at Mount Vernon. In his lifetime, George Washington became the largest distiller of spirits in America.